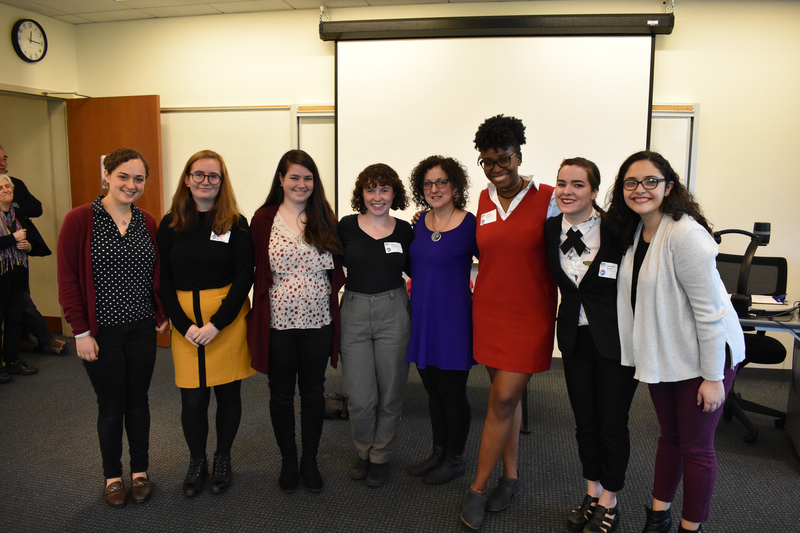 media outlets such as the Boston Herald and WBUR, Boston’s NPR station, participated in several discussion panels about their careers and gave valuable advice to Simmons students and other guests about working in the broadcasting industry. The event’s featured Keynote speaker was the distinguished radio journalist and Simmons 1980 alum Lisa Mullins, who reflected upon her experiences in radio. “Radio continues to thrive,” said Mullins, host of WBUR’s “All Things Considered,” a daily two-hour news program. The medium has evolved drastically over her career with the advent of new broadcasting technologies, and opportunities are always popping up for those looking to work in the field. She shared that NPR recently hired three full-time reporters to specialize in environmental news, which is a first for the station. “Things change, and now people are funding it,” Mullins said about the new hires. Mullins also shared a series of short interviews with her colleagues at WBUR, whom she asked about qualities they look for when hiring recent college graduates. Across the board, all emphasized the ability to write concisely and effectively. Executive News Director Tom Melville said he looks for “a passion for journalism and storytelling,” and also appreciates a demonstrated work ethic, even if a potential hire currently works as a barista or paints houses. Kathleen McKenna, executive producer of the program Here and Now, looks for applicants who follow current events. Digital Manager Ben Swayse favors applicants with “a baseline in video production,” so that they can develop effective web content for WBUR. Mullins also participated in a discussion panel about women working in media, accompanied by Anngelle Woods of classic rock station WZLX and Yasmin Amer, field producer of WBUR’s Morning Edition. “Every day I still work in broadcasting is a victory,” Woods said to the audience. The panelists recounted their greatest lessons learned in their careers so far relating to being women working in media. “You are your own entrepreneur,” said Amer, encouraging listeners to plan out how they will brand/market themselves in their job searches and overall work style. “Be known for what it is that you do,” Woods added, emphasizing the importance of a personal brand. While these panelists are decorated journalists and media specialists, they were also transparent in their discussion about the difficulties they’ve faced as women in media. “Everyone thinks they’re frauds. Everybody’s insecure,” said Mullins on the topic of impostor syndrome — a psychological condition in which a person cannot understand and accept the magnitude of their own accomplishments. The panelists agreed that women in the industry are especially susceptible to impostor syndrome. The Intercollegiate Broadcasting System represents over 1,000 member radio stations at educational institutions across the country, and produces over 250 seminars throughout the year to develop the collegiate and community broadcasting field. Visit www.collegebroadcasters.us for more information.